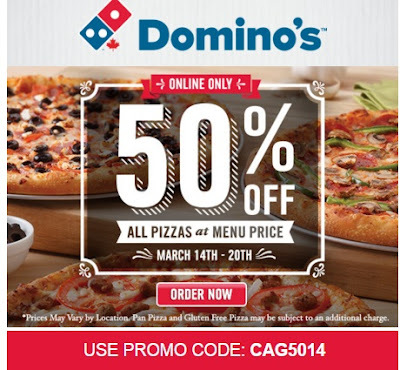 Get 50% off all pizzas at menu prices this week at Dominos with the promo code below! Enter the promo code CAG5014 at checkout to get the discount. Available online only. Offer is valid March 14-20, 2016.